Traffic stop leads to major bust! 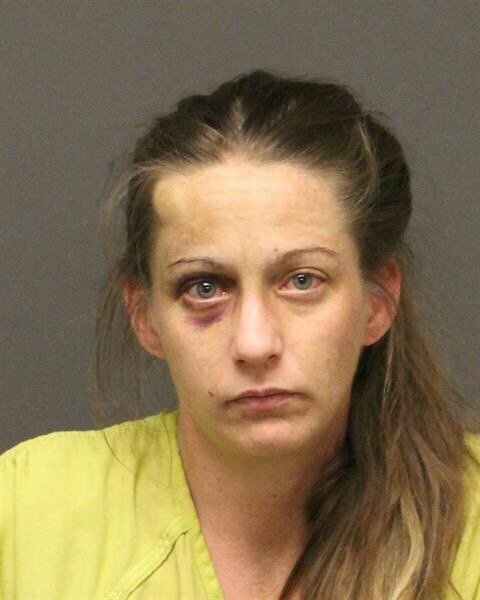 On Wednesday (3/27) at approximately 3:10 PM, while on patrol in the area of the Highway 93 and Highway 68 interchange, Mohave County Sheriff’s Office Deputies observed a tan SUV known to them from previous incidents. 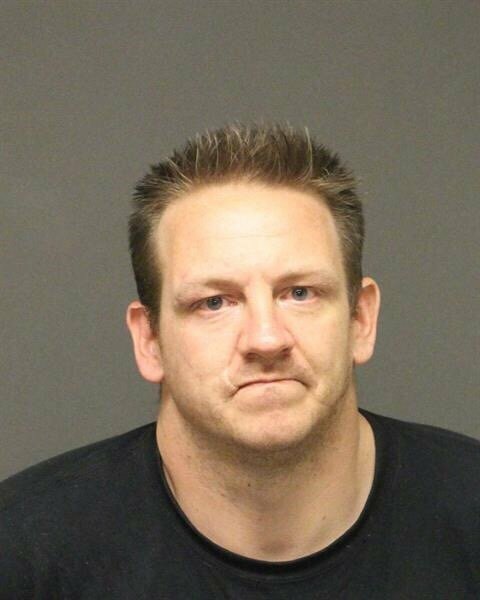 Deputies observed a female driver and male passenger, and identified the male passenger as Nicholas Mitchell Markham, 35 of Kingman, from previous incidents. Deputies knew Markham to have an active arrest warrant and observed the SUV did not have a functioning brake light. A traffic stop was conducted at Beale St. and Clare Ave. and deputies made contact with the driver, identified as Jennifer Leigh Hoover, 34 of Kingman. While speaking to the occupants of the vehicle, deputies observed an empty gun holster on the passenger floor board. Due to the uncertainty of a weapon being present, deputies removed the occupants from the vehicle for officer safety. While doing so, deputies observed a syringe loaded with a black substance inside the passenger door pocket. Both subjects were then detained and placed in handcuffs. A pat search of Hoover revealed a small amount of heroin and drug paraphernalia in her pocket. A pat search of Markham revealed an empty syringe. A search of the vehicle was conducted and deputies located a black backpack in the back seat. The backpack contained a large plastic bag containing a white crystal substance, which tested positive for approximately 2 pounds of methamphetamine. Also inside the backpack was several individual packages of a black tar-like substance which tested positive for 5.7 ounces of heroin. 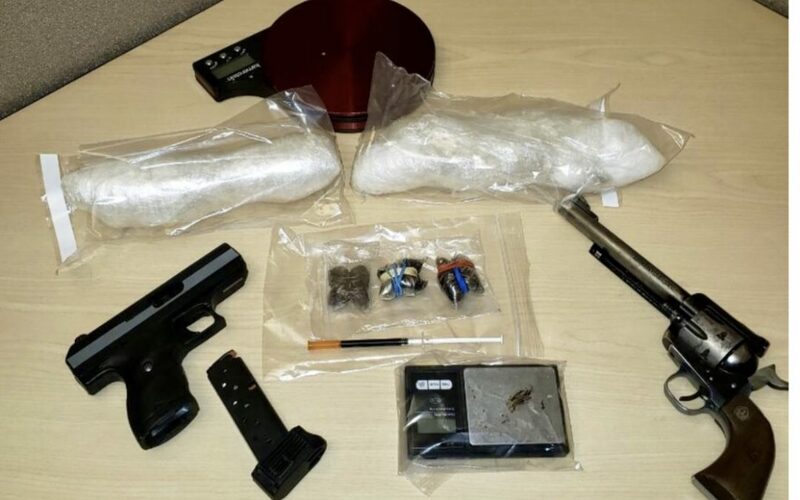 A second package was located on the rear floor-board and tested positive for approximately 2 pounds of methamphetamine. A second backpack was located inside the vehicle, which contained a revolver and several phones and tablets. Deputies also located a handgun inside a locked glove box. Two scales were also found inside the vehicle. Markham claimed ownership of all the items located inside the vehicle. A records check revealed Markham is a prohibited weapons possessor. A total of over 4 pounds of methamphetamine was located, with a street value of approximately $183,000. A total of 5.7 ounces of heroin was located with a street value of approximately $30,000. Nicholas Mitchell Markham was arrested for two counts of Possession of a Weapon by Prohibited Person, Possession of a Weapon in Use of a Drug Offense, Dangerous Drug Possession, Dangerous Drug Possession for Sale, Transporting a Dangerous Drug, Narcotic Drug Possession, Narcotic Drug Possession for Sale, Transporting a Narcotic Drug, all felonies, and an active arrest warrant. Jennifer Leigh Hoover was arrested for Narcotic Drug Possession and Drug Paraphernalia Possession, both felonies. Both subjects were transported to Mohave County Adult Detention Facility without incident. Mohave Area General Narcotics Enforcement Team (MAGNET) also responded to the scene for further investigation.